LK Industries was brought to Minarik Drives through one of our distributors, Kaman Automation in Houston, TX. LK Industries specializes in petroleum testing equipment. 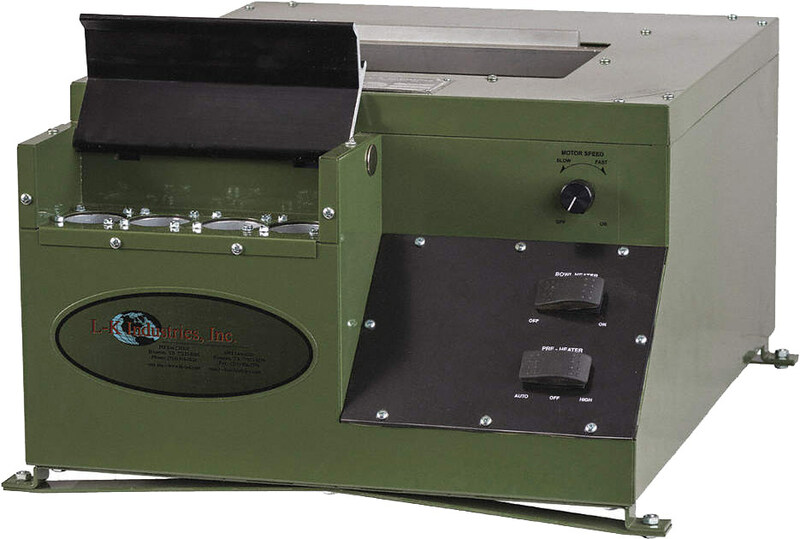 Our controls are used with vehicular mounted oil testing centrifuges that separate water and sediment from oil. The centrifuge requires specific pre-heat & spin cycles…determined by the operator. Previously, the speed & heat level of the centrifuge could only be adjusted by the operator with machine mounted controls. In addition, all test results had to be manually recorded by the user by visually inspecting the finished sample. With the help of Minarik Drives, a custom built version of a DC30-12/24-4Q with Bluetooth capability was integrated into the centrifuge. The addition of the Bluetooth module to the DC30-12/24-4Q allows the motor control to communicate with a custom mobile app (by a third party). The new control communication package interacts with the transport centrifuge by sending configurable test parameters, speed and temperature. Once the test is complete, a report is generated and stored on a cloud based network. This report displays information pertaining to the test parameters such as the temperature of the bowl during the test, the speed of the centrifuge during the test, and the duration of the test. The app also provides critical test results such as water content and sediment content, both displayed as percentages of the oil sample, and the relative centrifugal force during the test. Lastly, the app provides convenient information such as the date and time the test was ran, the physical location of the transport centrifuge during the test in terms of latitude and longitude coordinates, and a section for the user to input notes pertaining to that test. The ability for the user to record and store test results reduces the dependency on operator recordings of results. Minarik Drives delivered a custom motor control that greatly enhanced the usability of one of LK’s popular products. Being able to interact remotely with the transport centrifuge as well as receive and store test results has helped LK deliver another enhanced functionality product that offers clear differentiation in their market. Click here to learn more about how Minarik Drives engineers can help you.